Azte.co London: A Resounding Success! 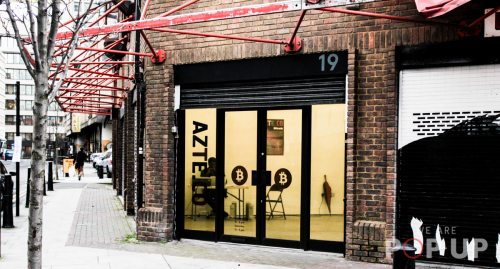 Azte.co , the bricks and mortar source of bitcoin opened its doors on 19th Feb 2014 to bitcoin enthusiasts scattered all over London. Azte.co is the first store of its kind in Europe and is pioneering the sale of pay-as-you-go type bitcoin vouchers, redeemable on the spot (for those of us lucky enough to have an android phone) or at home later using your computer (sadly the case for the iPhone users out there, as Apple recently banned all bitcoin apps). Akin Fernandez, founder of Azte.co, shares a belief common amongst bitcoin enthusiasts and was one of the first in Europe to act on it. I spoke to the lovely Mr. Fernandez, following this maiden week of bitcoin sales to see how much of a buzz this one little pop-up shop was able to generate. The question on the tip of my tongue was if there were many women interested in buying bitcoin or were the only ones visiting reluctantly being ushered in by eager male companions? I had to ask as there has been a shocking shortage of oestogen in the bitcoin marketplace. Fernandez replied with a resounding yes. In fact the first person in the shop was a woman and she bought and redeemed the first Azteco voucher. Nice one ladies! Finally, it seems more women are getting involved in bitcoin! Overall this one little shop opening has been a huge success, with a near sell-out of bitcoin, plenty of media coverage and an increased interest from potential vendors thanks to the positive reception Azteco received. It’s no wonder more people have become interested in opening their own short term establishments. Feedback was 100% positive from all those who bought a voucher and all vouchers were redeemed between 30 and 70 seconds. 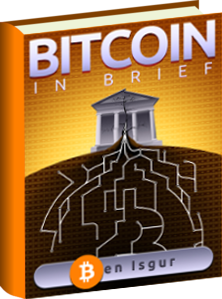 Azteco is quickly becoming known for its speed and simplicity when it comes to buying bitcoin. This first Azteco pop-up shop was originally set to move location on 26th Feb 2014, but Fernandez let slip that the pop up at Goulston Street might have an extended run so watch this space! It’s not too late to pop down to Goulston Street (Shoreditch) if you are in the market for more bitcoins! Let’s be honest, who isn’t?! Fernandez has assured me that there are additional pop-up locations being planned as we speak so try not to worry. In fact the next outlet selling Azteco bitcoin vouchers will be an in-store terminal in a local corner store in, drumroll please, Canada! In parting I asked Fernandez for a few words of advice to anyone looking to spread the bitcoin buzz and he delivered! I agree, when it comes to bitcoin, getting your feet wet, even with a tiny fraction of a bitcoin, it’s the best way to appreciate all that you are holding in your hands. Azte.co bitcoin vouchers have made it quicker and easier than ever for anyone to get involved! Keep up to date with their movements by following @Azteco_ on Twitter or by checking out their official blog. Disclaimer: The opinions shared in the interview are not of Coinreport.net and we do not encourage anyone to Jailbreak their iPhone or alter it in any way. You are responsible for the way you use your iPhone.